Mike Voegtlin has always had a fascination with the sea and air. While pursuing a BA in Economics from the University of Washington he worked during the summers commercial salmon fishing in Washington and Southeast Alaska. After graduation, he was commissioned in the Air Force supervising aircraft maintenance activities in Nevada, Korea, and Utah. Mike returned to Seattle to complete his MBA from Seattle University. He joined Boeing in 1984 and traveled around the world working with their largest suppliers. Responsibilities were contract negotiation, program management, and strategy development. In 2001, Mike was recruited to join the executive management team of a startup aerospace company, Primus International. Starting small, they grew the company, eventually selling it in 2009 to Precision Castparts Corporation. At PCC Mike had sales responsibility for their Airframe Products Segment comprised of 77 manufacturing companies with $5B in annual revenue. Retired since June 2018, Mike enjoys his free time pursuing many hobbies. 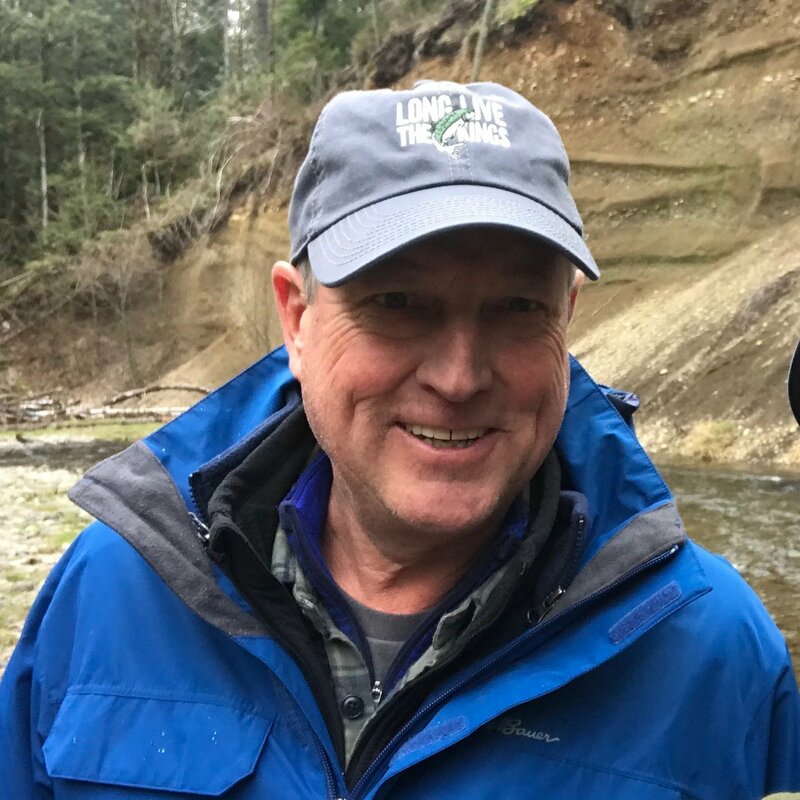 He shares his time between Orcas Island, Seattle, and Sedona, Arizona, with most being spent in the Northwest, as his wife Pam continues to work full time as a television executive in Seattle. Mike is an instrument rated pilot and flies his own airplane between these locations. Mike and his wife share a passion for restoring marine life throughout the Pacific Northwest. They support several organizations but have focused their support on Long Live The Kings.